Micaela Connery was exposed to disability at a young age, having grown up alongside her cousin Kelsey, who was born with several disabilities and significant needs. While others may have excluded Kelsey for her differences during childhood, Micaela adored her. "Kelsey was my best friend growing up, and I always thought she was one of the bravest people I knew." It wasn't until both girls had reached high school that Micaela began to realize many of her peers did not share her perspective on inclusion. In 2002, while a student at Conard High in West Hartford, Connecticut, Micaela noticed that other kids like Kelsey were being treated differently because of their disabilities. "There was a clear distinction in my high school between how the students with disabilities were treated compared to those without, and I knew this was something I wanted to change. I wanted to help bring these two communities together as equals." Micaela realized that in order to make real change in her school, she would have to start off simple. So, she turned to one of her own passions for some inspiration - theater. As a theater enthusiast, Micaela understood that the stage can act as a powerful platform for encouraging confidence and acceptance among performers. 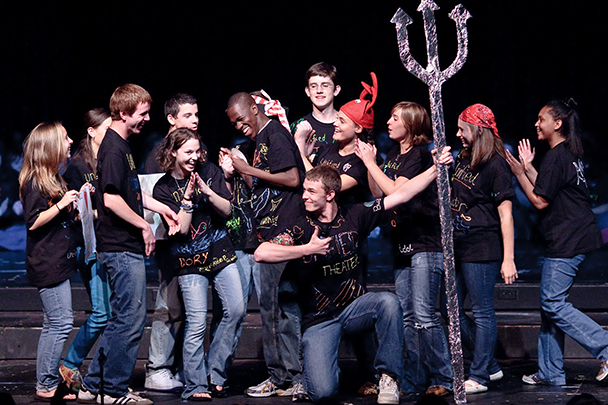 With this knowledge, Micaela petitioned to the school activities director for the creation of a high school theater club that accepted all students, regardless of ability. Only 15 years old at the time, Micaela was given the opportunity to start a club, and the official model of the Unified Theater organization was born. Unified Theater is a school-based, student-led initiative that strives to provide opportunities for all students to participate in theater productions. For the club's first meeting, Micaela gathered a group of 12 students to plan the entire production of an original play called "Song of the 60s." "We met in the living room of my parent's house, and we planned every possible component, from the script, to the costumes, to direction. It ended up being a very simple show, but it had an extremely powerful message. Immediately after we performed at my high school, people were coming up to us asking how to create a similar club in their own school. The idea to create an organization from her high school club grew organically from the positive feedback she had received. Concentrating her efforts on spreading the important message of accepting all students, Micaela developed Unified Theater as an organization that facilitates inclusive theater productions in schools across the country. Micaela and her team train student leaders nationwide and give them the tools to create successful programs within their own schools. "Part of what makes Unified Theater so special is we focus on harnessing the power of our leaders which in turn empowers the other students involved. We train our student leaders, but they are the ones that create these productions and ultimately connect with each other and with the community. Nothing can substitute the interaction between youth." Unified Theater prides itself on its commitment to inclusion and teaches respect by requiring that all students be treated as equals that are capable of unique contributions throughout the process. No one auditions, and anyone can have a line or a solo which gives all students the same opportunity to express their own individuality. With this mission, Unified Theater is pushing more schools to become inclusive, having established clubs in 28 schools nationwide with plans to create 10 to 15 more clubs in the upcoming months. "Every organization encounters obstacles and struggles. But what keeps me motivated is the hope that inclusive theater and inclusion in general, become as commonplace in high school as a student government. What we've been able to achieve so far is a testament to the fact that everyone can make a measureable impact, everyone can be a leader and everyone is capable of stepping into the spotlight."